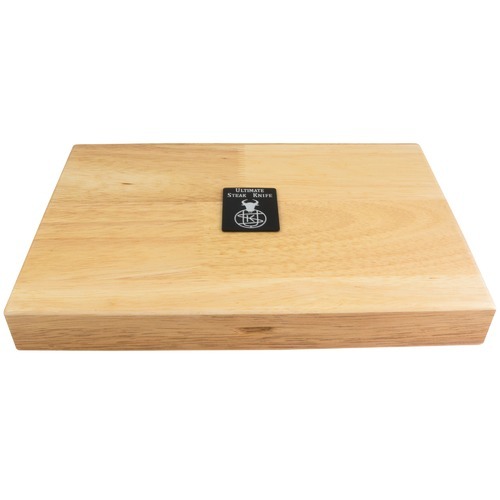 Beautifully presented in wooden gift box. A great steak knife needs to cut like a scalpel - cleanly and efficiently to retain juices and flavour, it needs to be comfortable to use and have a stunning look and feel. 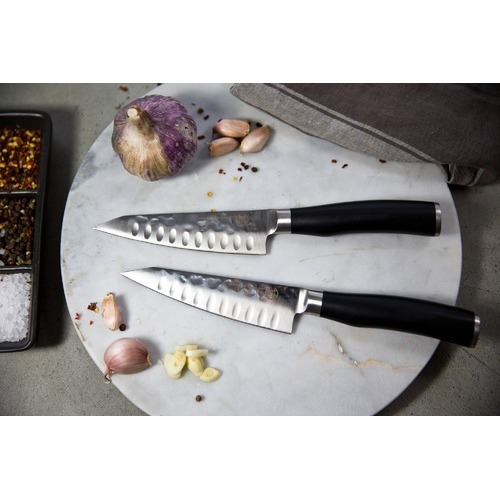 The Ultimate Steak Knife gives you all of these and more: The Ultimate Blade Choose from German or Damascus high quality stainless steel with an exceptional hardness score ensuring a cutting edge that will stay sharp for longer. The Ultimate Handle Choose from Antler, Antelope, Walnut, Olive and ABS handles which are ergonomically shaped making it easier to control and fit in your hand. Stainless steel handle caps add stability, strength and a counter-weight giving even weight distribution from tip to end. All handles are chemical free. Ultimate Quality Exceptional quality comes not only from the using the finest materials, but also from the true craftsmen and craftswomen who make our knives. Our highly-skilled team of artisans has enabled us to create exceptional quality knives - with each knife made using many complex manual processes that have been handed down through the generations. 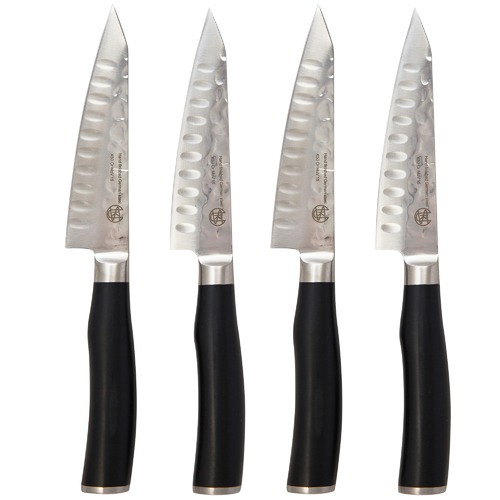 When you buy a Classic Pro Wagyu Steak Knives with Black Handles (Set of 4) online from Temple & Webster in Australia, we make it as easy as possible for you to find out when your product will be delivered to your home in Melbourne, Sydney or any major city. You can check on a delivery estimate for the USK Knives Part #: USKCWDW4 here. If you have any questions about your purchase or any other Cutlery Sets product for sale our customer service representatives are available to help.Whether you just want to buy a Classic Pro Wagyu Steak Knives with Black Handles (Set of 4) or shop for your entire home, Temple & Webster has a zillion things home.